The Central Information Commission is set to hear on June 20, a number of clubbed petitions of seventeen petitioners against six national political-parties, demanding that the Central and State Governments immediately stop all direct and indirect government-funding to political-parties as an interim measure. The petitions allege that the political parties have been defying the full-bench CIC-verdict dated 03.06.2013, which had ruled these to be under the Right to Information Act. They hence demand that various concerned departments of Central and State Governments be made a party to the case. Land-allotment at subsidized cost, free voters’ list, free Doordarshan & All India Radio, and all other government-provided free facilities to political parties may instantly be abolished. All other direct/indirect financing by Union and State Governments to political parties may immediately be stopped. No further government-accommodations may be allotted to any political party. Existing ones may be vacated within three years. Buildings built by political parties on subsidized land provided by Governments may be taken over by Governments in case of division in the party. Divisions-after divisions within Congress-party rendered its one time headquarters at 7 Jantar-Mantar Road (New Delhi) in a very bad condition. No more land at subsidized price may be provided in future. Union Government may abolish all Income Tax exemptions on contributions made to and received by political parties. This will abolish indirect government-financing to political parties through tax-exemptions. Extra revenue so generated for national-development/public-welfare-schemes is much more important than exemptions so enjoyed by political parties and to those contributing to them. 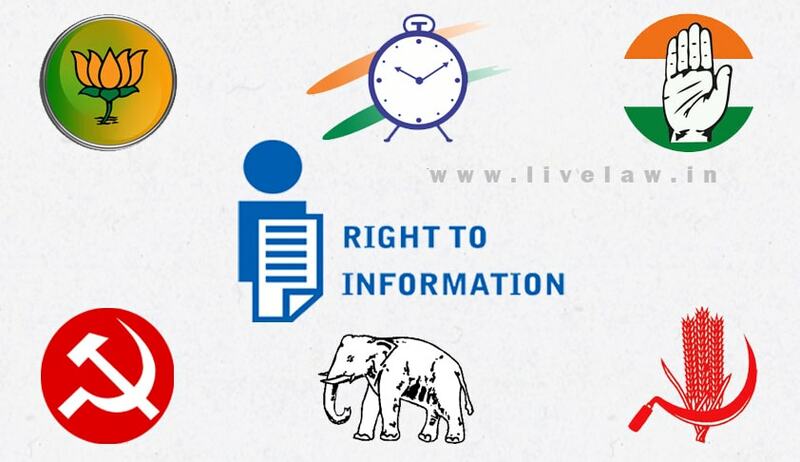 Political parties may be made to submit their complete fiscal details including incoming and outgoing funds to Election Commission, by making these public through their website. Election Commission may de-recognize about 2000 non-serious political parties which might not have contested any election in the last three years. Election Commission may intervene for ensuring compliance of political parties with CIC-verdict by giving them time-bound ultimatum for de-recognition in case of their non-compliance with the said CIC-verdict dated 03.06.2013.